Personal and Organizational Habits: A Threat to Safety Culture? A book I received as a gift got me thinking about habits: The Power of Habit: Why We Do What We Do in Life and Business by Charles Duhigg. * Following is a summary of selected points that we can relate to safety culture (SC) and our assessment of the book's usefulness for SC aficionados. Habits are automatic activity sequences people exhibit when they perceive specific triggering cues in the environment. Habit behavior is learned, and directed toward achieving some reward, which may be physical or psychological. The brain creates habits to conserve energy and operate more efficiently; without habits people would be overwhelmed by the countless decisions they would have to make to complete the most mundane tasks, e.g., driving to work. People use habits at work to increase their productivity and get things done. Unfortunately, habits can allow potential safety threats to slip through the cracks. How? Because while Rational Man considers all available alternatives before making a decision, and Satisficing Man consciously picks the first alternative that looks good enough, Habit Man is carrying out his behavior more or less unconsciously. If the work environment contains weak signals of nascent problems or external environmental threats, then people following their work habits are not likely to pick up such signals. Bad work habits may be the handmaiden of complacency. Duhigg includes many case studies involving individuals and organizations. One organizational case study is worth repeating because it focuses on changing safety habits. When Paul O'Neill*** became Alcoa CEO in 1987 he made improving worker safety his first initiative. He believed the habits that led to safety were keystone habits and if they could be changed (improved) then other business routines would follow. In this case, he was correct. Proper work routines are also the safest ones; over time quality and productivity improved and the stock price rose. The new routines resulted in new values, e.g., intolerance for unsafe practices, becoming ingrained in the culture. I'd put this book in the self-help category—the strongest sections focus on individuals, how they can be crippled by bad habits, and how they can change those habits. With the exception of the Alcoa case, this book is not really about SC so I'm not recommending it for our readers but it does stimulate thought about the role of unconscious habits and routines in reinforcing a strong SC, or facilitating its decay. If work habits or routines become frozen and cannot (or will not) adjust to changes in the external or task environment, then performance problems will almost surely arise. 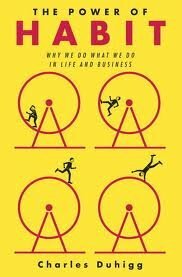 * C. Duhigg, The Power of Habit: Why We Do What We Do in Life and Business (New York: Random House 2012). To simplify this post and focus on a linkage to SC, many of the book's concepts are not mentioned in the main text above. For example, when the brain links the reward back to the cue, it creates a neurological craving; the stronger the craving, the more likely the cue will trigger the activities that lead to the reward. Bad habits can be changed by inserting a new activity routine between the cue and the reward. A belief that change is possible is needed before people will attempt to change their habits; willpower and self-discipline are necessary for changes to stick. A real (or manufactured) crisis can make organizational routines amenable to change. ** The result can be the worst kind of machine bureaucracy: rigid hierarchies, organizational silos, narrow employee responsibilities, and no information shared or questions asked. *** O'Neill later served as U.S. Treasury Secretary during 2001-2002. 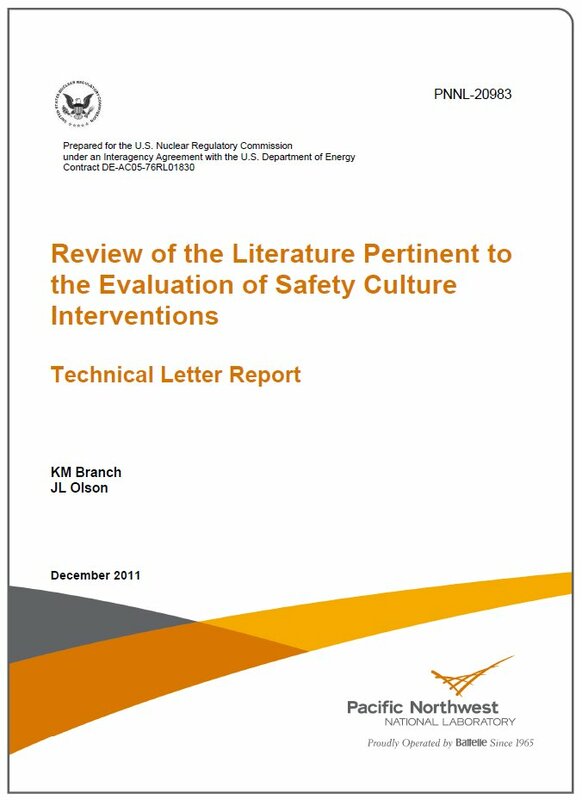 In 2011 the NRC contracted with the Pacific Northwest National Laboratory to conduct a review of social science literature related to safety culture (SC) and methods for evaluating interventions proposed to address issues identified during SC assessments. The resultant report* describes how traits such as leadership, trust, respect, accountability, and continuous learning are discussed in the literature. This report contains an extensive review of the literature and it is impossible to summarize in a blog post. We'll provide an overview of the content, focusing on interesting quotes and highlights, then revisit Schein's model and close with our two cents worth. This section begins with the definition of SC and the nine associated traits in the NRC SC policy statement, and compares them with other organizations' (IAEA, NEI, DOE et al) efforts. The Schein model is proposed as a way to understand “why things are as they are” as a starting point upon which to build change strategies aimed at improving organizational performance. An alternative approach is to define the characteristics of an ideal SC, then evaluate how much the target organization differs from the ideal, and use closing the gap as the objective for corrective strategies. The NEI approach to SC assessment reflects the second conceptual model. A third approach, said to bridge the difference between the first two, is proposed by holistic thinkers such as Reason who focus on overall organizational culture. This is not the usual “distinction without a difference” argument that academics often wage. Schein's objective is to improve organizational performance; the idealists' objective is to make an organization correspond to the ideal model with an assumption that desired performance will follow. The authors eventually settle on the high reliability organization (HRO) literature as providing the best basis for linking individual and organizational assumptions with traits and mechanisms for affecting safety performance. Why? The authors say the HRO approach identifies some of the specific mechanisms that link elements of a culture to safety outcomes and identifies important relationships among the cultural elements. (p. 15) A contrary explanation is that the authors wanted to finesse their observation that Schein (beloved by NRC) and NEI have different views of the the basis that should be used for designing SC improvement initiatives. The authors review the “building blocks” of culture, highlighting areas that correspond to the NRC safety culture traits. If an organization wants to change its culture, it needs to decide which building blocks to address and how to make and sustain changes. There is an extensive discussion of other building blocks including perceptions, values, attitudes, norms**, beliefs, motivations, trust, accountability and respect. Implications for SC assessment and interventions are described, where available. 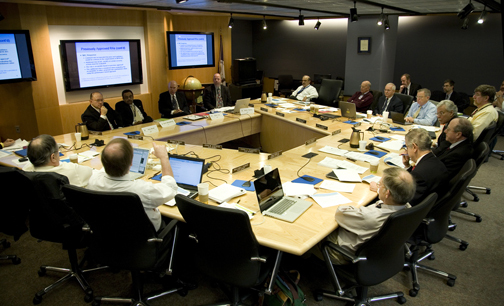 Adaptive processes such as sense making and double-loop learning are also mentioned. The authors review theories of individual and organizational change and change management. They note that planned interventions need to consider other changes that may be occurring because of dynamic processes between the organization and its environment and within the organization itself. 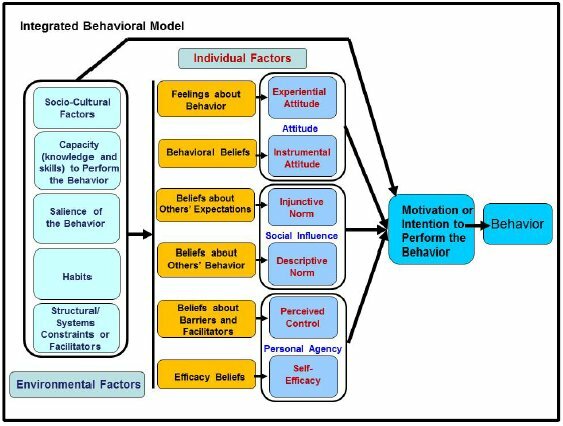 The authors favor Montaño and Kaspryzk’s Integrated Behavioral Model, shown in the figure below, as a template for designing and evaluating SC interventions. It's may be hard to read here but suffice to say a lot of factors go into an individual's decision to perform a new behavior and most or all of these factors should be considered by architects of SC interventions. Leadership can provide input to many of these factors (through communication, modeling desired behavior, including decision making) and thus facilitate (or impede) desired behavioral changes. “The studies conducted on learning, quality, and sustainable organizations and their corresponding cultures contain some badly needed information about the relationship among various traits, organizational characteristics, and behaviors that could help inform the assessment of safety cultures and the design and evaluation of interventions.” (p. 65) Topics mentioned include management leadership and commitment, trust, respect, shared vision and goals, and a supportive learning environment. Schein's model of culture (shown on p. 8) and prescriptions for interventions are the construct most widely known to the nuclear industry and its SC practitioners. His work is mentioned throughout the PNNL report. Schein assumes that cultural change is a top-down effort (so leadership plays a key role) focused on individuals. Change is implemented using an unfreeze—replace/move—refreeze strategy. Schein's model is recommended in the program theory-driven evaluation science approach. The authors believe Schein's “description of organizational culture and change does one of the best jobs of conveying the “cultural” dimensions in a way that conveys its embeddedness and complexity.” (p. 108) The authors note that Schein's cultural levels interact in complex ways, requiring a systems approach that relates the levels to each other, SC to the larger organizational culture, and culture to overall organizational functioning. So if you're acquainted with Schein you've got solid underpinnings for reading this report even if you've never heard of any of the over 300 principal authors (plus public agencies and private entities) mentioned therein. If you want an introduction to Schein, we have posted on his work here and here. This is a comprehensive and generally readable reference work. SC practitioners should read the executive summary and skim the rest to get a feel for the incredible number of theorists, researchers and institutions who are interested in organizational culture in general and/or SC in particular. The report will tell you what a culture consists of and how you might go about changing it. We have a few quibbles. For example, there are many references to systems but very little to what we call systems thinking (an exception is Senge's mention of systems thinking on p. 58 and systems approach on p. 59). There is no recognition of the importance of feedback loops. The report refers multiple times to the dynamic interaction of the factors that comprise a SC but does not provide any model of those interactions. There is limited connectivity between potentially successful interventions and desired changes in observable artifacts. In other words, this literature review will not tell you how to improve your plant's decision making process or corrective action program, resolve goal conflicts or competing priorities, align management incentives with safety performance, or reduce your backlogs.